Black Touch - Rich, velvety black-red coloured fimbriata-type blooms with unusual spiky flowers. Flowers July-September. Height 90-100cm (3'-3'4"). Playa blanca - Pretty white dahlia, with spiky blooms and deep green leaves. Flowers all through the summer and ideal as a cut flower. Fimbriata type. Flowers late June-September. Height 70-80cm (28-32"). If planting is not to take place immediately on receipt, remove from the bag and store in moist peat. For early flowering, start the tubers in pots or boxes of compost in a greenhouse or frame, at a temperature of 13ºC (55ºF) during March and April. Harden off, ready for planting outdoors in late May/early June when the danger of frost has passed. 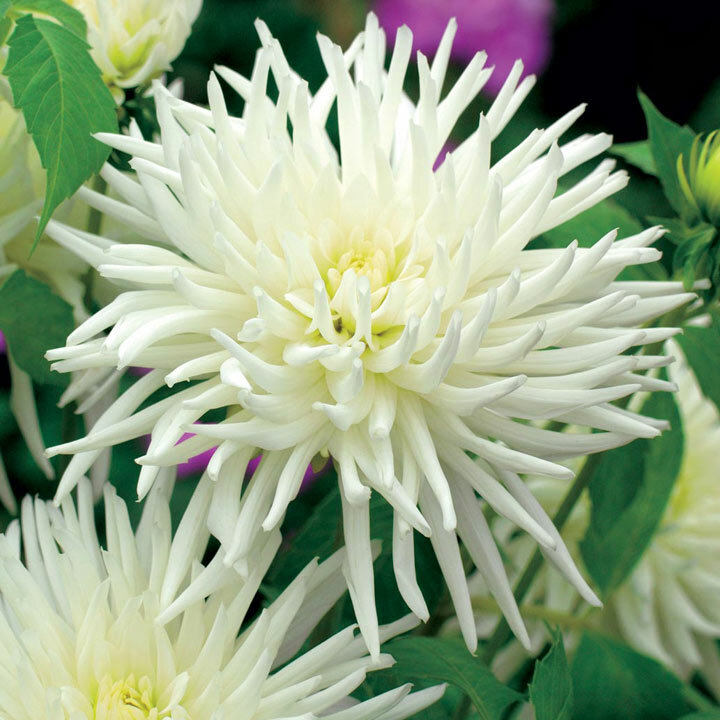 Alternatively, plant directly outdoors during May, with the top of the tubers about 7.5cm (3") deep and 50-90cm (2½-3') apart, but be prepared to give protection against frost. 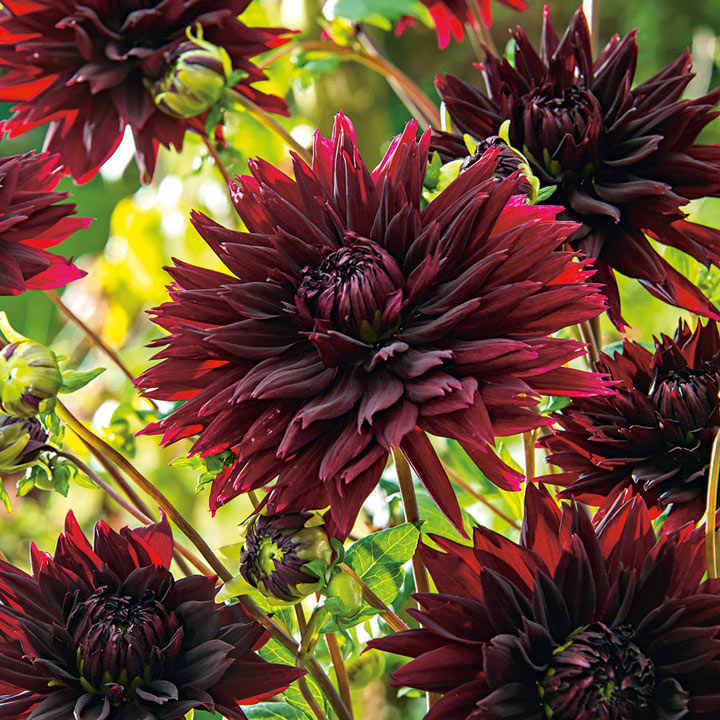 In autumn lift, dry and store the tubers for winter, in dry peat, or sand, in a cool frost-free place.